The 2017 Vintage Preview presented by the Stellenbosch Cabernet Collective takes place on 19 and 20 October at the Lanzerac Hotel & Spa in Stellenbosch. 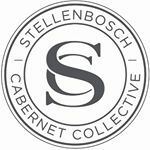 Those attending will be able to sample pre-release examples of Cabernet Sauvignon 2017 from 35 Stellenbosch properties. This will take the form of a walk-around tasting and includes paired canapés – tickets cost R350 per person. The Winemag.co.za panel – editor Christian Eedes and Roland Peens and James Pietersen, both of Wine Cellar, Cape Town merchants and cellarers of fine wine – were invited to a en-primeur tasting of 25 of the wines in September. We tasted blind, ratings done according to the 100-point system, wines accorded a three-point spread of points given that they are unfinished. On the whole, 2017 looks like it was a very good vintage for Cabernet Sauvignon from this famed district and could be even better than much-acclaimed 2015 although it is too early to make this judgement with any real conviction. The panel was generally impressed by the fruit power on display – overt pyrazine character and the debilitating effects of leaf-roll virus were not an issue. Wine Cellar will once again be handling the advance sale of these wines – buyers will be able to place orders at the event and subsequently via the retailer’s website.